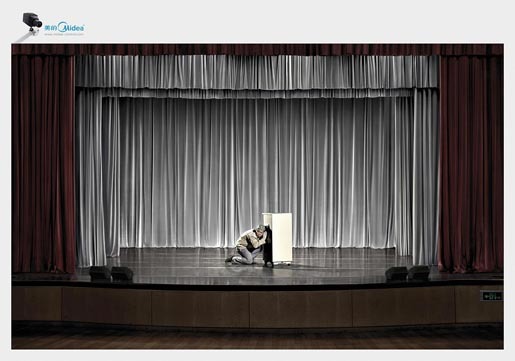 Midea security cameras are presented as the way to prevent would-be burglars in this award-winning advertising campaign from China. 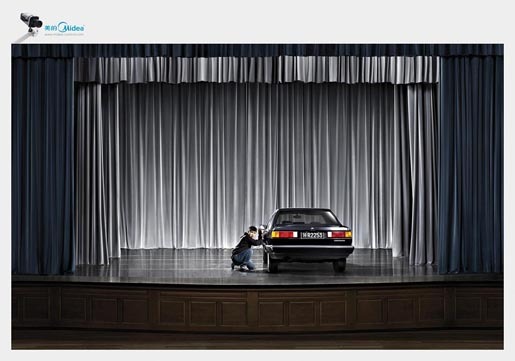 A car, safe and antique display are placed on a stage, with thieves discovering that they’re being watched by an audience. 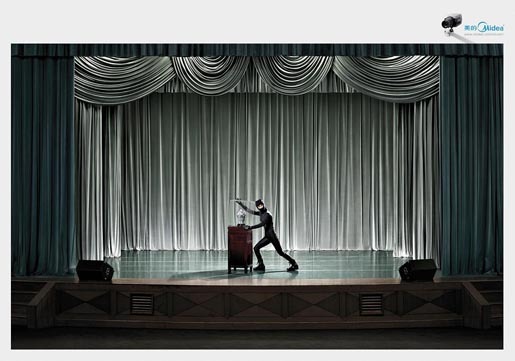 The campaign won a Silver Press Lion at Cannes International Advertising Festival 2010. 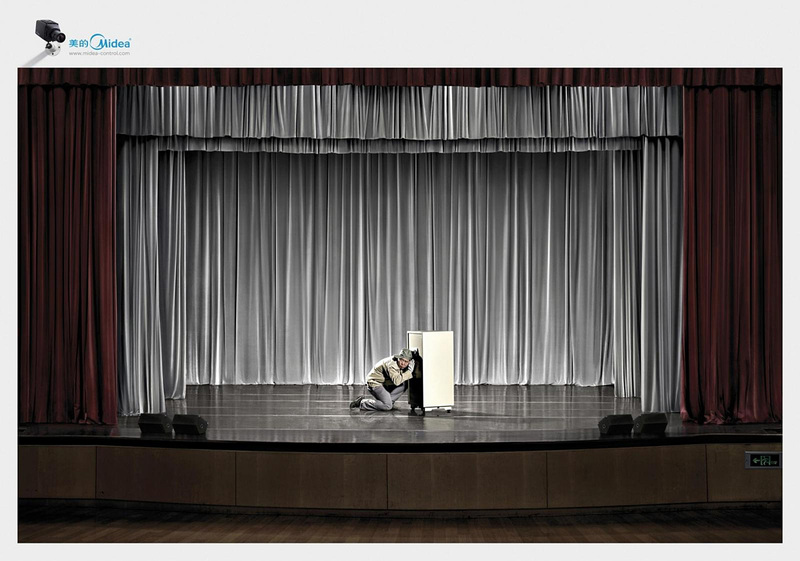 The Midea Stage campaign was developed at Ogilvy, Shanghai, by executive creative director/art director Kevin Lee, creative directors/copywriter Kit Ong, art director/typographer Robin Wu, art directors Minsheng Zhang, Jordan Dong and Zhang Lei, account manager Cissy Shen, account supervisor Shining Gao, with photographer Keno Zhao and retoucher Joo Jeoh at Refine Images.